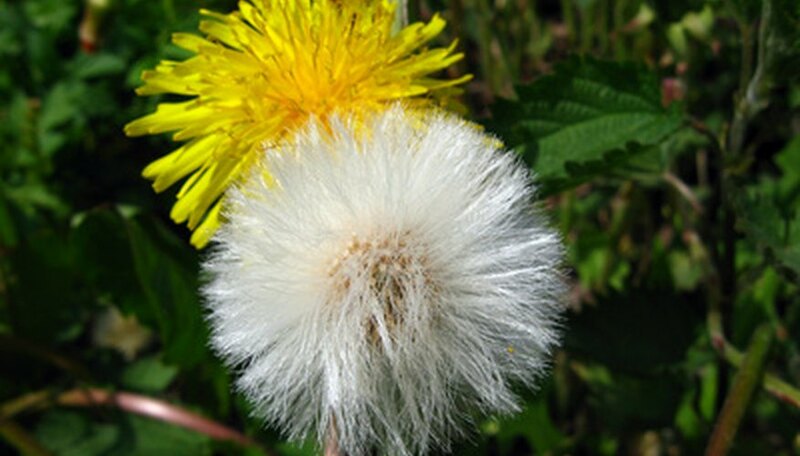 Ferti-Lome Weed Out is an herbicide that has the power to kill bothersome broadleaf weeds, such as clover, dandelions and chickweed. There are several ways you can apply this product to your lawn. One of those methods is to use a hose end sprayer. It is important that you mix the correct amount of water with the correct amount of Ferti-Lome Weed Out to successfully kill the weeds in your lawn. Slide on a pair of gloves, and make sure you are wearing long clothing and boots. Ferti-Lome herbicide is a strong chemical that could cause irritation to your skin. Place a mask over your mouth and nose, and put on a pair of goggles. This will protect you from breathing the chemical in, or having it splash up into your eyes. Add 1 oz. of Ferti-Lome Weed Out to your hose end sprayer and set it to mix with 2 gallons of water. This is enough to cover 500 square feet of space. You can double or triple the ingredients if you need to cover a larger area. Attach the hose end sprayer to your garden hose and begin spraying at the farthest spot you want to cover. Work your way to the front, being careful to follow the same pattern of left to right, or right to left. This will ensure that you do not miss a spot. Wash your clothing immediately after the application is complete so that any chemicals on your clothing do not transfer to your skin. Wait to apply Ferti-Lome Weed Out until the weeds begin to grow, but do it while they are still small. If you encounter an emergency while using this product call 1-800-858-7378. Do not allow children or pets outside until this product has completely dried.